Here’s our author for today’s Six Question Saturday! 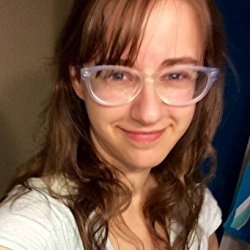 S. Johnson is the author of several young adult novels, including sci-fi and fantasy adventures such as The Starlight Chronicles series, the Once Upon a Princess saga, and the Divine Space Pirates trilogy. With a gift for sarcasm and an apologetic heart, she currently lives in Atlanta … Continue reading "Six Question Saturday with C.S. Johnson"